Manufacturing has changed. So should your tools. Make quality parts, faster. Reduce cycle times and increase your bottom-line utilizing a single unified platform. Quickly import your designs with the largest set of CAD data translators for 50+ different file types. 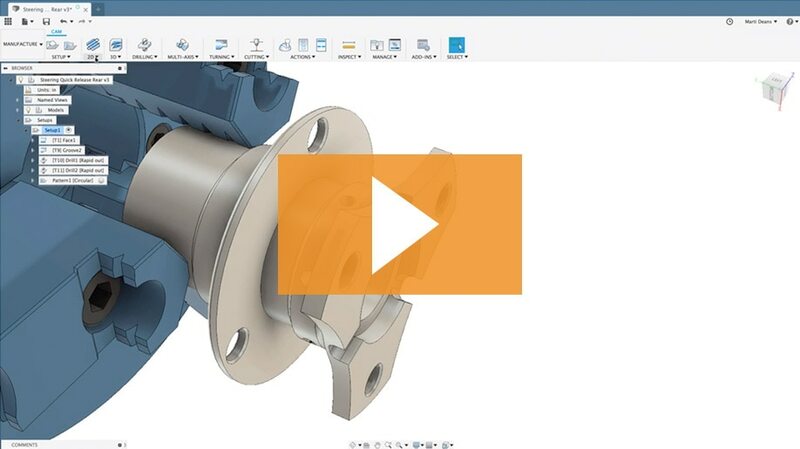 Directly edit existing features or model fixtures with a truly integrated CAD / CAM platform. Effortless setup and programing allows you to make parts faster. Post full NC programs with a post from our extensive library of free, open source, and fully editable processors. Stretch your budget further by eliminating costly, disparate CAD / CAM tools with one affordable integrated solution. 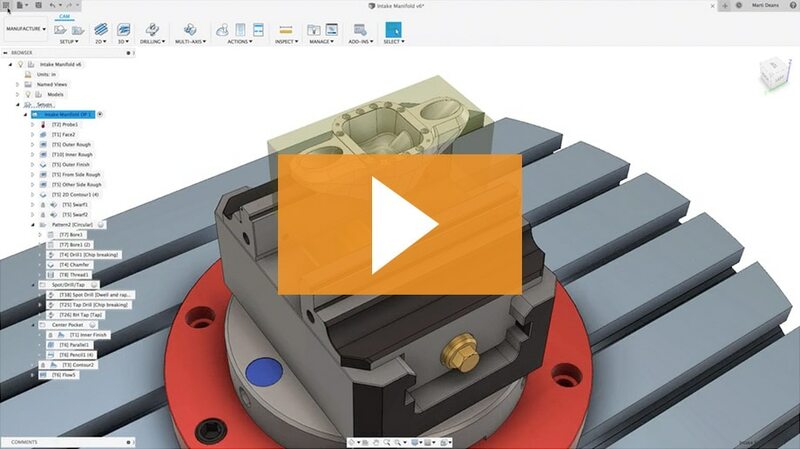 Reduce your time to market by 60% with one CAD / CAM solution. Cut costs in half by reducing cycle times and unncessary man hours. Create toolpaths twice as quickly and start machining faster. 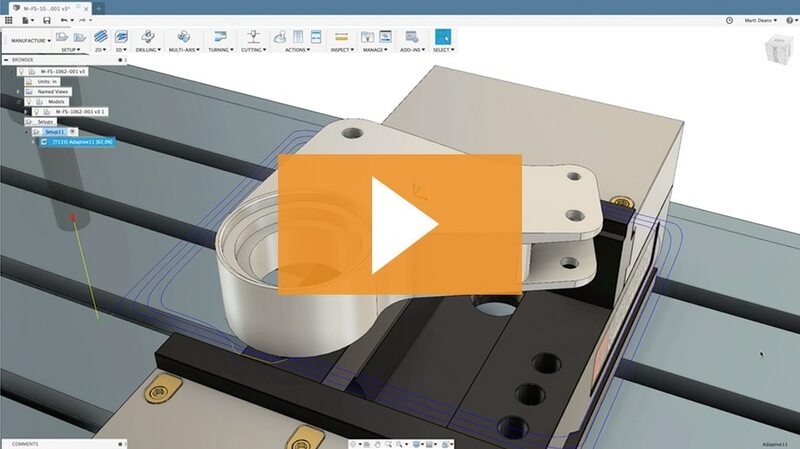 From high-efficiency roughing with Adaptive Clearing to simplified control of multi-axis machines with Tool Orientation, Fusion 360 makes it easy to program your CNC machine, fast. 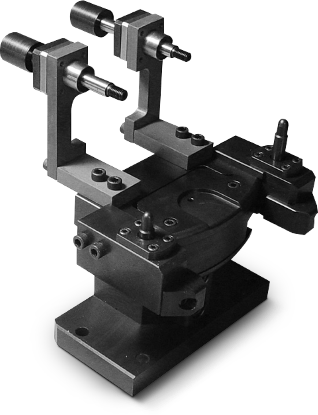 Manufacture with 2.5, 3, 4, and 5-axis milling, probing, turning, mill-turning, and profiling operations paired with a powerful post engine all included alongside professional design tools. 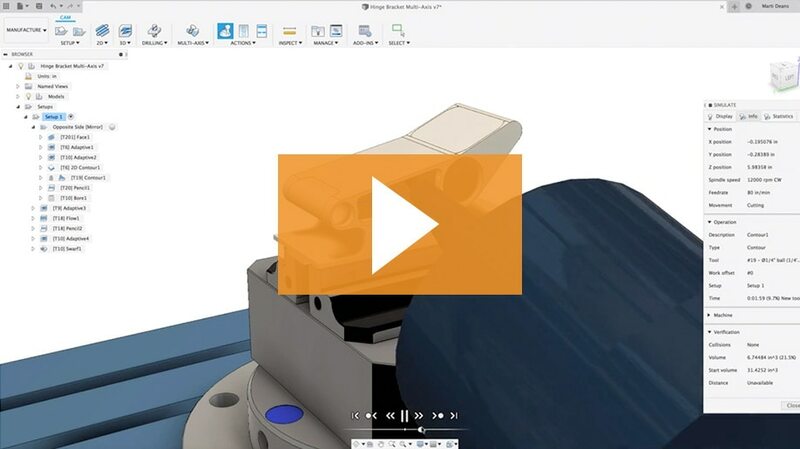 Quickly set up jobs and generate toolpaths to machine quality parts while reducing wear on your tools with fully integrated CAM, including 2.5 and 3-axis operations. The quality of parts coming off our machines has improved due to more efficient programming strategies, as well as the integrated CAD environment. 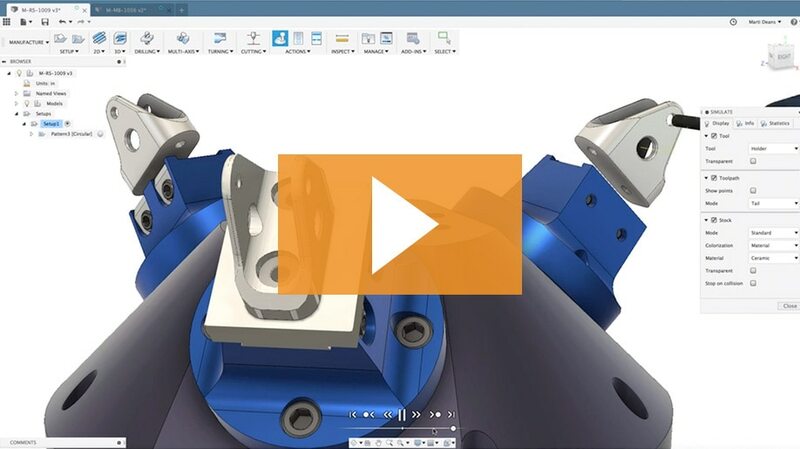 Leverage your shop's multi-axis capabilities with straightforward positional 5-axis programming that will significantly reduce machine setup time between operations. With our other program, it would take an hour to calculate toolpaths. With Fusion 360, just a couple of minutes. 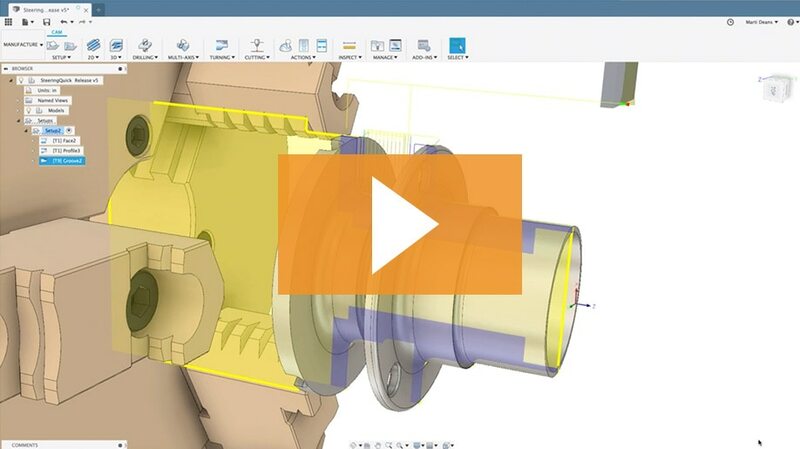 Create indexed or wrapped toolpaths using the rotary axis of your machine for complex geometry. I needed the ability to cut past the base of the part to avoid tool changes. This has allowed me to reduce the production time by nearly 80%. Mill complex geometry, avoid collisions, and reduce tool lengths for superior surface finished with simultaneous full 5-axis operations. I can have something from design stage to off the machine in one hour. Leverage in-machine touch probes to shift work offsets and simplify your setup process. Fusion 360 is our CAM workhorse. It has be able to do everything we have needed so far. 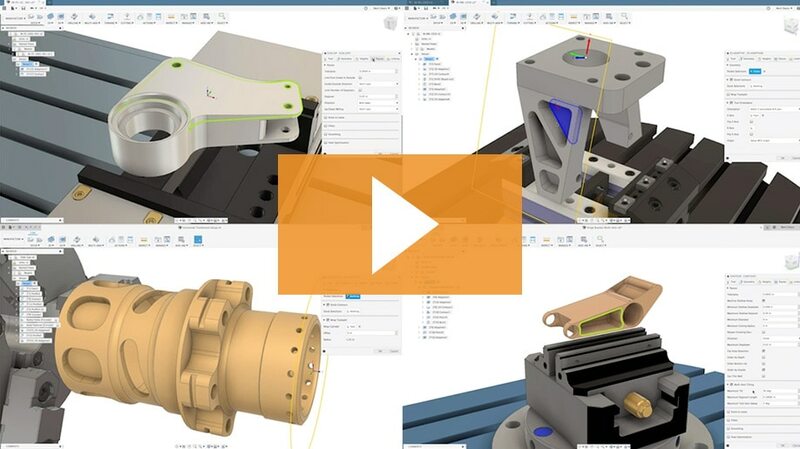 Program 2D turned parts and verify your turning toolpaths with stock simulation to identify errors or collisions with the model, stock, tools, and workholding. Combine milling and turning operations to create more complex parts without switching machines. Fusion 360 has reduced our time to market by about 60%. 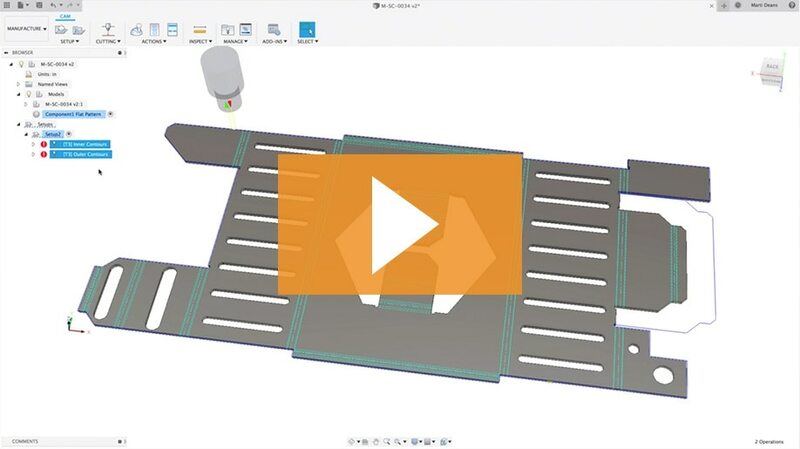 Generate toolpaths from solid model features, including flattened sheet metal components, to operate water jet, laser, and plasma cutters. 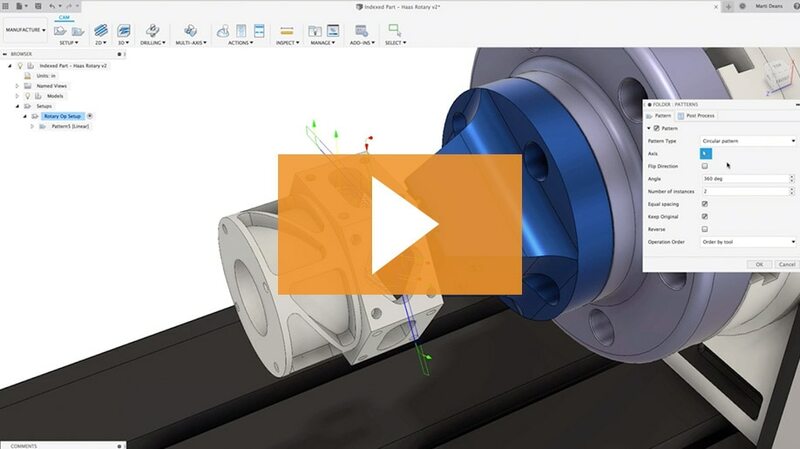 Full-featured CAM and CAD reduced time to make products by over 20%. Post full NC programs in seconds with a post from our extensive library of free, open source, and fully editable post processors. On our very first project, we saved over $14,000 by reducing cycle time by 9 minutes with no additional tool wear. 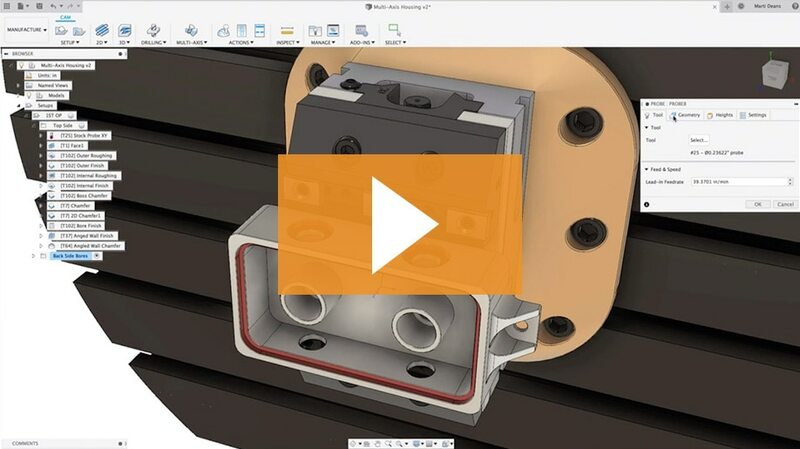 "On our very first project using Fusion 360, we saved over $14,000 by reducing cycle time by 9 minutes with no additional tool wear. That has a direct impact on our bottom line." 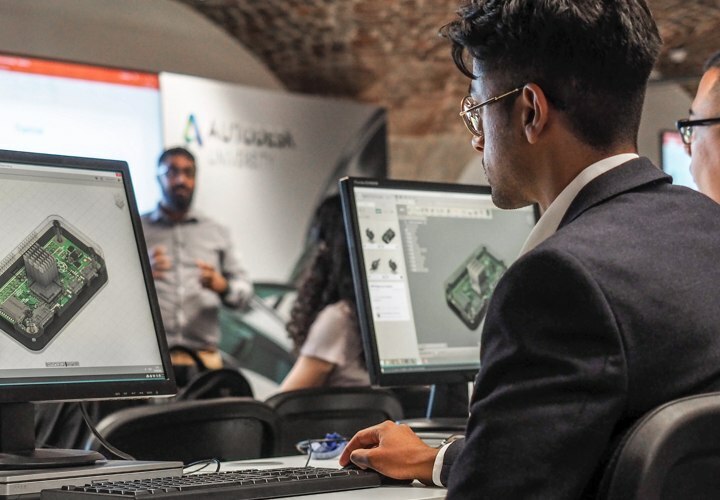 Swissomation, an expert in machining, micromachining, and prototyping, sees Fusion 360 as the future of their company. The integrated platform allows their team to collaborate with their customers on the front-end of the design process.